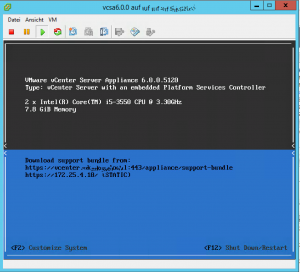 Two days ago VMware released the second version of vCenter Server 6.0.0. After four month the update delivers some bugfixes for SSO, security, storage, installation and upgrade. The full list of fixes can be found in the Release Notes for vCenter 6.0.0b. The update could be installed via CMD and mounted ISO in the vCSA. 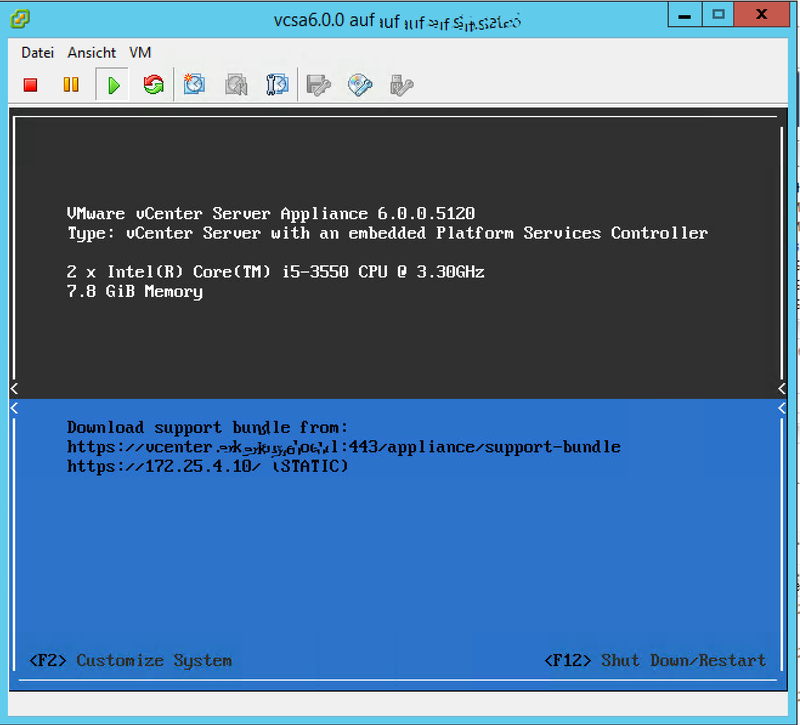 Connect the ISO to vCSA virtual CD/DVD-Drive. First I’ve connect the ISO via Web Client, but the vCSA disconnected me every time I starts the update. 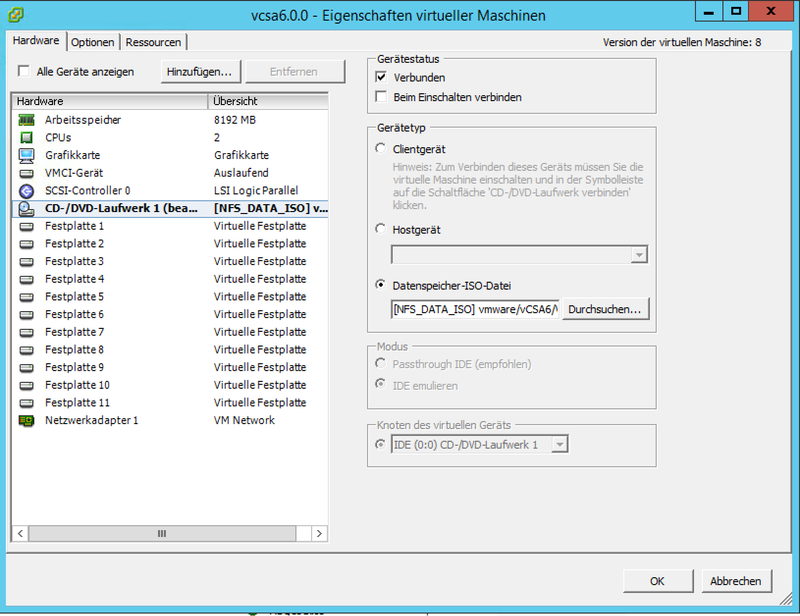 So I’ve connect the ISO with vSphereClient connected to ESXi directly. Thank you for your post. I found this helpful in updating my ESXi 6 install!